Should I put gravel in the bottom of a pot? 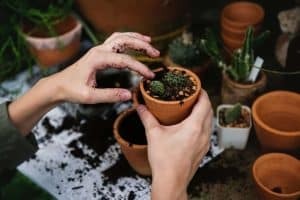 With the popularity of succulent terrariums and unorthodox planters, “fat plants” often end up in containers that don’t have drainage. As we’ve discussed many, many, times before drainage holes are necessary for good plant health. But… if you’re really insistent on that quirky container, you can just put gravel in the bottom to help the dirt drain, right? Wrong. So it turns out that water doesn’t always work the way you expect it to. You would think that putting gravel in the bottom of a hole-less container opens up space for water to drain into, and eventually evaporate. But water is under the effect of these weird little forces called cohesion and adhesion. Those mean that water likes to stick to itself and it likes to stick to other things, respectively. Capillary action is what happens when these two forces combine to pull water up small spaces. You can see this effect in your drinking straw, how the level of liquid is often higher than the level in the glass. Coincidentally, these forces are also how plants get water from their roots to their leaves! The interaction of these forces and gravity creates something called a water table, which forms whenever you put water in a container. In pots with drainage, the water table is much lower because water is able to flow out of saturated soil. If the water is unable to drain, it naturally climbs higher into the soil, raising the level of the water table. So when you put gravel in a container, how does it affect the water table? Not in the way you want it to! The gravel forms what is called an aquitard, a layer impenetrable by water. That doesn’t necessarily mean that water can’t slip between the cracks in the gravel, but that it would prefer to stick to other stuff like dirt. Adding a layer of gravel to the bottom artificially raises your water table by acting as an aquitard. Any water table above an aquitard is called a perched water table. There are, of course, methods of testing whether or not your soil is staying wet at the bottom. Soil moisture sensors exist, and can be used to see if the soil stays wet a long time after watering. So I shouldn’t use gravel? No, don’t do it! You are essentially making your pot shorter if you do. Look at the illustration above – shorter pots inundate your roots. In fact, you should strive to plant all your plants in tall pots. Again, the diagram shows that the taller a pot is, the lower the water table is. Your goal is to always have your plants roots out of the water table, perched or otherwise, to prevent them from drowning. They need to breathe too! 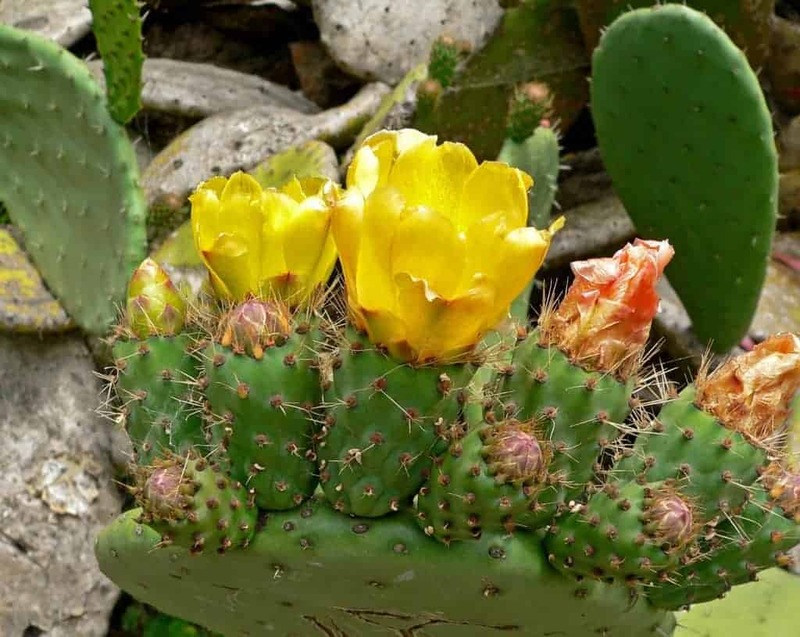 Sublime Succulents won’t advocate the use of pots without drainage holes, but if you must use such a container, a tall one with infrequent waterings is your best bet. Is there anything we missed? Comment below! Should I Water Before or After Repotting? This is the best discussion I have seen for why not to use gravel at the bottom when planting succulents! Thanks so much for the sort of techy, science-based article – it really helped to clarify this subject for me. I use a masonry bit & drill holes in all types of interesting containers . Awesome awesome article! 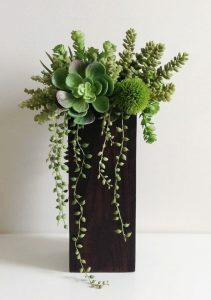 When using tall well draining planters with succulents is there anything that can be added to the bottom of the bottom half of the pot as a “filler” (to not have to use so much soil, keep the pot lighter)? Would bark or lava rock work? Thank ya!!!! Sorry to be the bearer of bad news – but any sort of filler you use will have pretty much the same effect as the gravel. However, if you do actually have drainage in that tall pot, you can probably get away with using a filler anyway. I’ve heard that foam packing peanuts and empty plastic water bottles work great! Just a follow up question, I do have a pot with a large drainage hole in it’s center, and I’m wondering two things 1) should i keep the plastic pot my succulent comes in that normally has more smaller drainage holes in the bigger ceramic pot or not? 2) I was told that putting clay pebbles at the bottom would help with drainage but now I’m not so sure.. do they have the same effect as normal rocks/pebbles? Thank you for the article!! 1. I would repot the succulent ASAP. The soil they come in usually isn’t great for succulents anyway. As for the pot – it doesn’t matter too much how many holes there are. 2. Clay pebbles will have the same effect as any other gravel or rocks at the bottom – perched water table. Don’t do it! Thank you for your science-based reasoning on this subject! 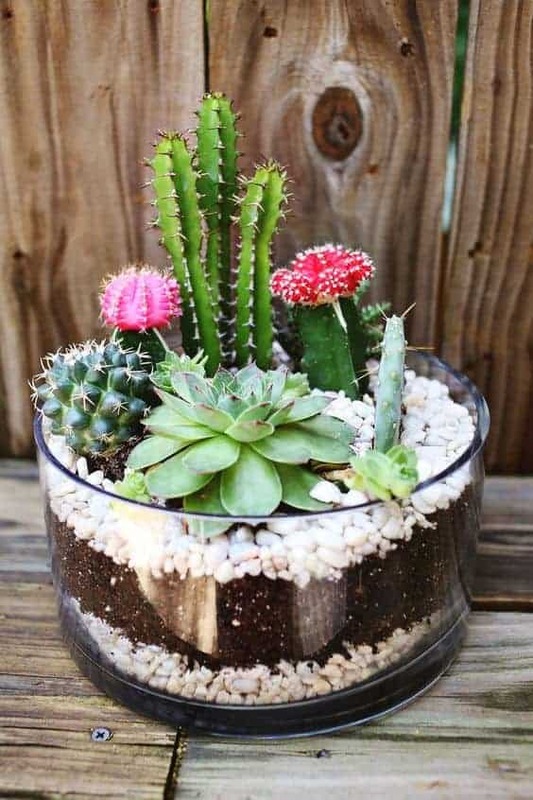 So if buying a taller pot or adding drainage holes isn’t an option, do you suggest just using less water for a pot without drainage holes (rather than adding pebbles at the bottom which has an adverse effect on the water level as you describe)? Specifically, this applies to small 2″ glass pots w/o drainage holes at the bottom that we already purchased for our succulent wedding favors and can’t return at this point. Also, wouldn’t the pebbles ensure that the roots wouldn’t grow to the bottom thus providing some clearance between the water and roots, or are you suggesting that none (or only a small amount) of the water may drain into the pebbles due to the physical forces at work? Thanks so much! Hey Patrick – nice name, by the way. And I’m glad you appreciate the science – that’s my thing! 1. 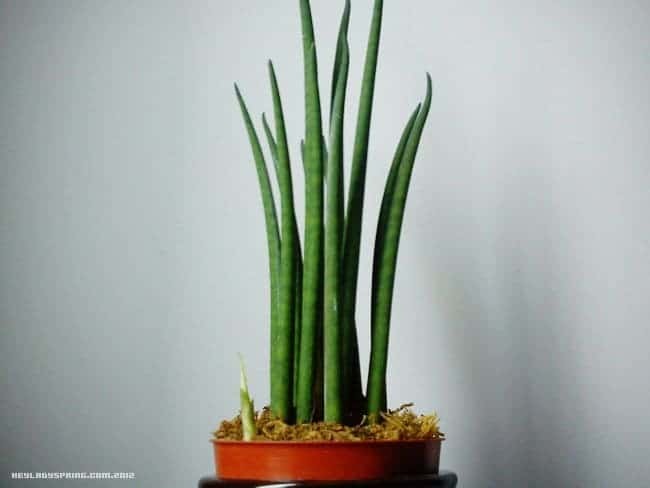 Use an eye dropper or similar to water directly at the base of the plant so that you don’t wet other soil unnecessarily. 2. Water less frequently than you normally would – I’d tack on an extra 4 or 5 days of waiting. As for the water – if you underwater, which is your goal in a holeless pot, the water should never “drain” into the pebbles at the bottom. If you overwater, it will go into the pebbles and stay there for a really long time. That’s the thing you want to avoid. And plant roots will certainly infiltrate that pebble layer eventually – especially if there’s water. Then they’ll drown. Turns out plants don’t have the best foresight haha.